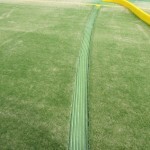 If you are looking to have a full needlepunch pitch construction carried out, we can complete this work for you. 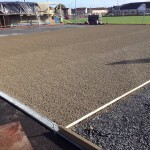 Many schools and clubs have this specification of surfacing because it is suitable to use for many sports including football, tennis, hockey and basketball. We can undertake the full installation process including groundworks, laying the turf and adding different equipment for the facility. Be sure to contact our team if you’d like an idea of costs for installing one of these facilities. Send over your details through the enquiry form on this page and we’ll respond with a quote. 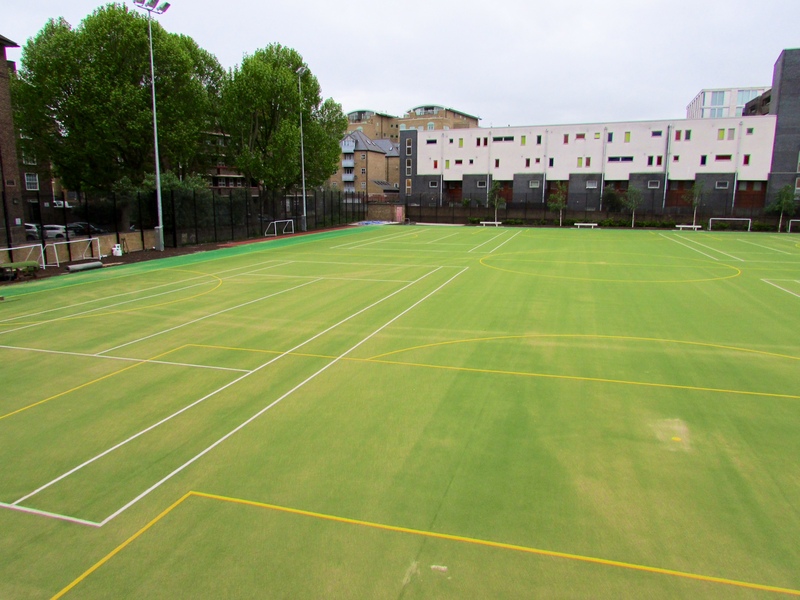 Multisport synthetic turf surfacing is installed at organisations all over the UK for multi use games areas and athletics tracks, it is popular for schools as it provides a softer landing surface for children compared to the traditional polymeric rubber court and track surfacing. 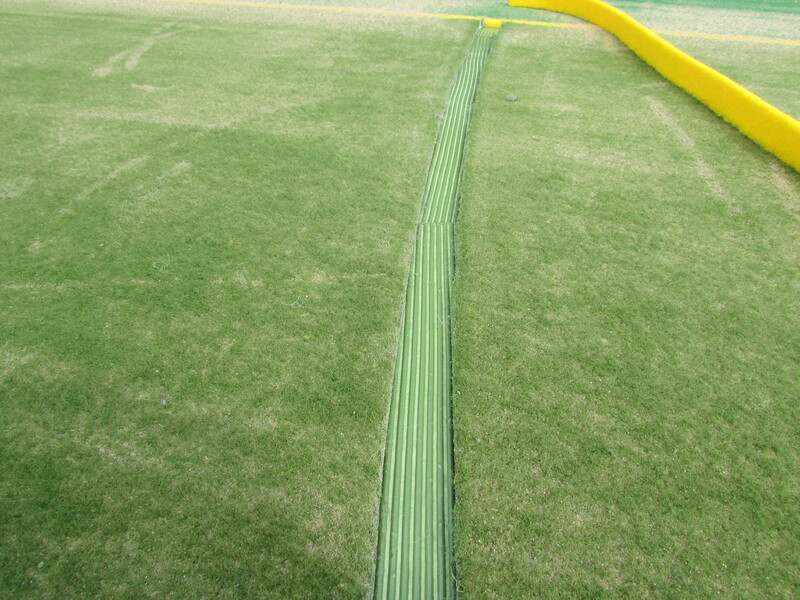 The artificial grass material used for needlepunch pitch construction is made up of fibre bonded yarn which is extremely durable and can be used for many activities including athletics, football and tennis. The needlepunch construction process starts with the sub base installation which can be either dynamic or engineered, however an engineered sub base is preferred for this specification as it provides a more even surface. 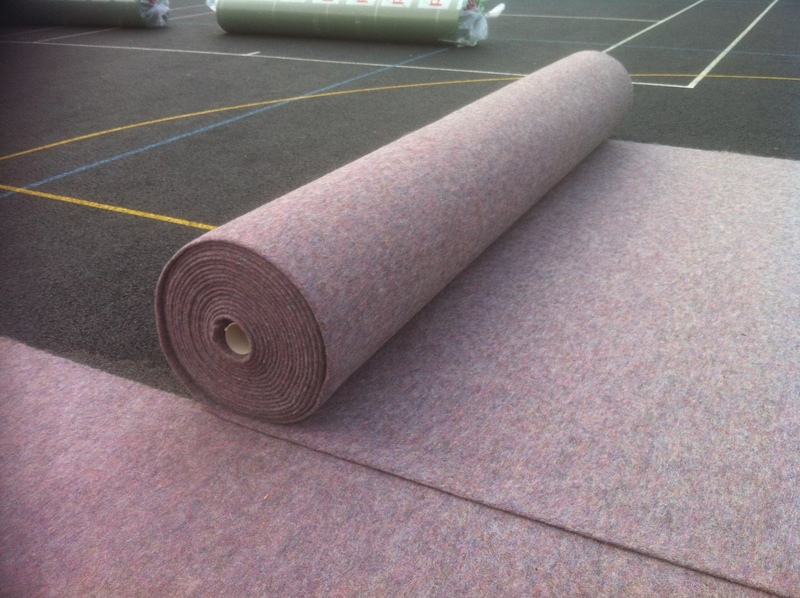 The fibre bonded synthetic needlepunch surfacing can be laid straight onto the sub base, but a shockpad may need to be installed if the facility is going to be used as a multi use games area for a number of different sports. 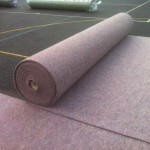 If the work is being done for a long jump runway, the synthetic carpet can be installed straight onto a dynamic stone sub base. 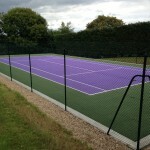 This type of synthetic surfacing can be installed in a range of bright rainbow colours which makes sport even more fun for young children at primary schools. Inlaid line markings can also be applied to the surfacing by cutting out the lines and installing turf into the cut out lines in a contrasting colour. 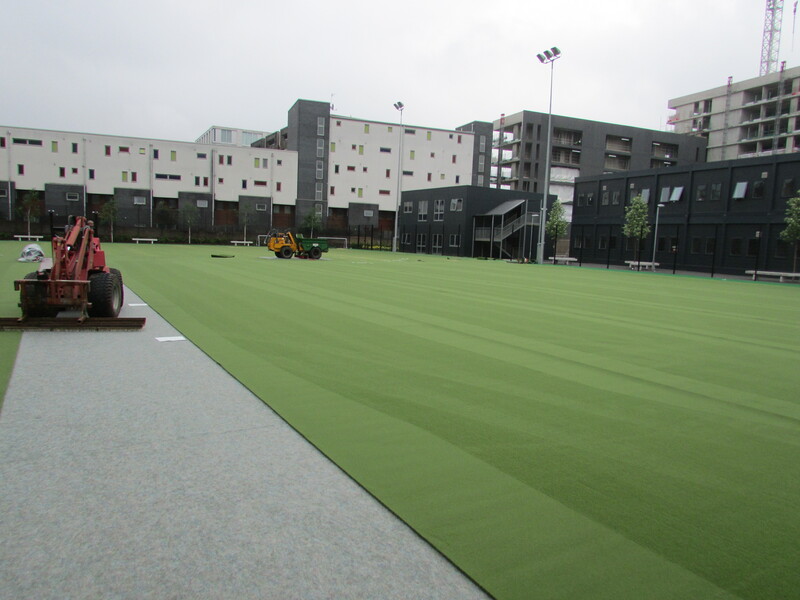 Once the artificial carpet for the needlepunch pitch construction has been installed, a layer of silica sand infill is placed within the grass fibres to improve the stability of the surfacing an enhance the performance qualities. The video above shows our team completing a full installation process for a new synthetic turf facility. This included laying a shockpad over an existing tarmac area, then adding the artificial carpet along with line markings and sand infill. When the full installation is complete, the surfacing will provide great performance characteristics for around 10 years. Extra features like outdoor sports lighting and specially designed fencing can also be included with the needlepunch construction to help you create the most efficient facility which can be used as often as possible. 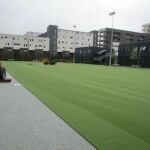 The life expectancy of the artificial pitch can be extended by carrying out regular maintenance for the synthetic turf surfacing. 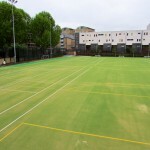 Maintenance for this type of synthetic grass sports pitch can include drag brushing to redistribute the infill, chemical treatments and removal of any dirt or contaminants which come into contact with the surface. Additional repairs and reactive maintenance can also be carried out to fix any damage which the synthetic carpet may have suffered as a result of overuse or vandalism. It’s important to carry out regular sports pitch maintenance and repairs to keep the facility safe and ensure its playing qualities are not compromised. 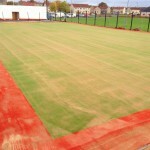 Please take a look at this page – https://www.sportsandsafetysurfaces.co.uk/surface-types/needlepunch/maintenance/ – which explains the maintenance for this synthetic turf surface type in more detail. If your school or sports club is interested in having a durable and versatile sports facility constructed, please get in touch with us so we can discuss this further. Send us your details through the contact form on this page and we’ll get back to you with information in regards to design, construction and price estimates for your project. The costs for needlepunch pitch construction will depend on a number of factors but we always try to make our quotes cost effective for each client. Just give us an idea of what your budget will be so we can stick to this as much as possible.